Poker “as we know it” started in 1970. That year, Benny Binion brought around 30 gamblers into his Horseshoe casino in downtown Las Vegas. Binion’s Horseshoe didn’t even have a poker room at the time, so the gamblers “shoehorned” themselves around a few poker tables in an alcove and played cash games (read more here). Johnny Moss was voted best all around player, “winning” the first championship. The World Series of Poker was born. Those 30 or so gamblers had no idea what they were participating in would evolve into the poker Mecca that it is today. There was no hoopla, TV cameras, or pillow fights and dunk-a-stripper booths. It was just poker. And there was just this picture. 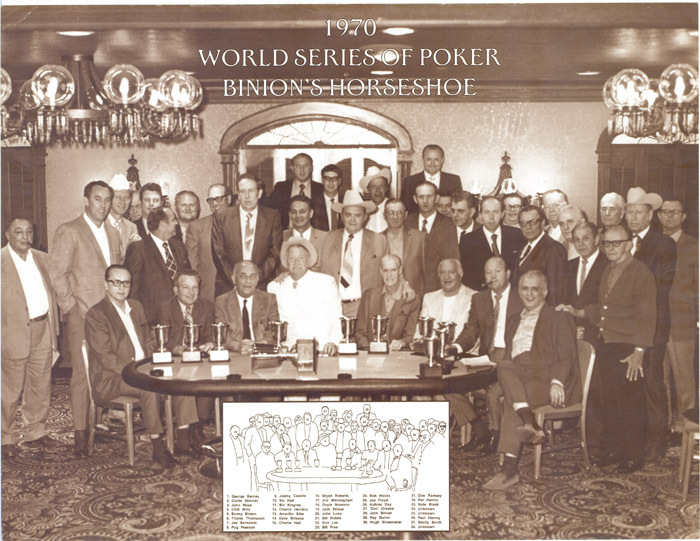 Our #2 Greatest Poker Pic of All Time showcases the participants of the original WSOP. I have this hanging in my house and it gives me chills! Just thinking about how it all started, what it must have been like back then. The characters, the stories in that room. [It was] a different era and this pic really intrigues me. Jack Binion, Bob Hooks, and myself are the only 3 living [people] from that picture. It was 1970 and we had a great few days! While the face of the game has changed dramatically over those 44 years–the appreciation of those faces and the stories they could tell has not. 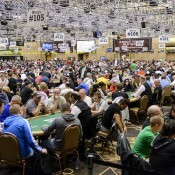 That image captures the soul of the WSOP, You instantly see camaraderie, respect, and a sense of enjoyment all around. It looks like a picture that could hang at Augusta National. If I’m setting my time machine, I’m going back to that moment just for a chance to hear the stories. For those of us working in (or just watching) the industry, those faces and stories laid the foundation from which we’re all earning our living today. It all started right there, in this picture, in 1970. 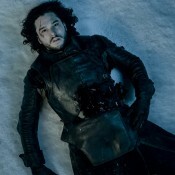 There is one more man alive from the original wood.